Have you been one of the many out there that have been looking for a USB to NVMe drive adapter that will allow you to use whatever brand SSD you want and is fully bus powered? 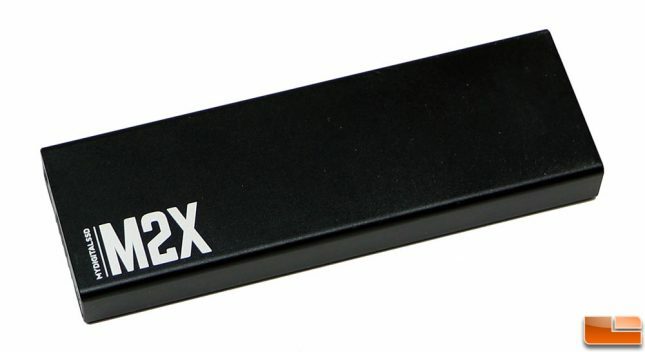 The new MyDigitalSSD M2X Portable USB 3.1 Gen 2 M.2 PCI Express SSD External Enclosure Adapter might be what you need. 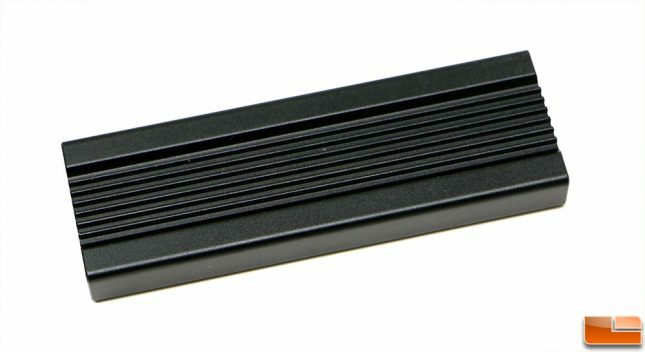 Priced at $39.99 shipped, this inexpensive enclosure could be a life saver for repair shops that work don’t want to shut down a PC each and every time they need to access a customers M.2 drive. You could also use this diskless enclosure to make your very own portable SSD drive! 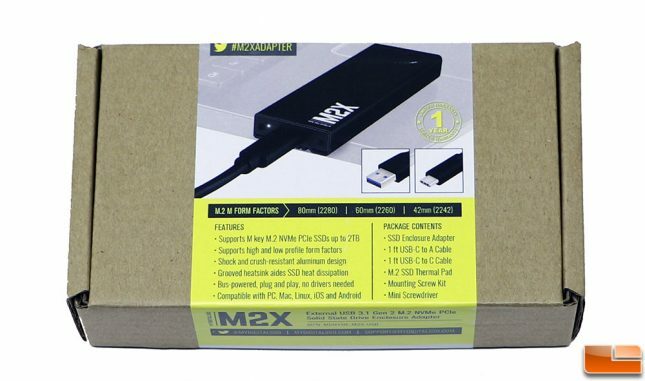 MyDigitalSSD is always trying to keep costs down and ships the M2X in plain cardboard packaging with a nice full color label that also seals the box. The label is jam packed with useful information as well as an image of enclosure along with images of the two included USB connectors. You can find out pretty much everything you need to know about the M2X from the label. 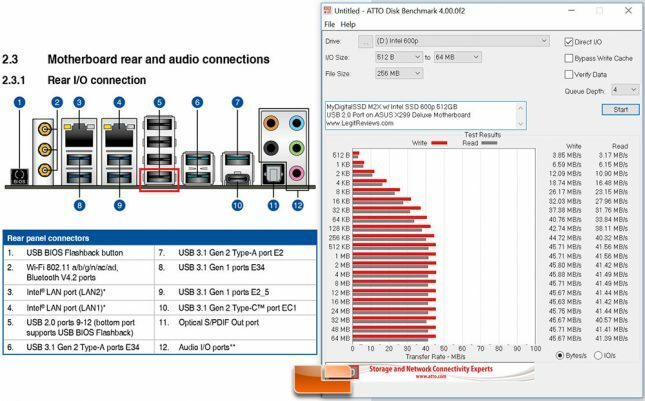 It supports M.2 drives with the ‘M’ key format in capacities up to 2TB and lengths of 42mm (2242), 60mm (2260) and 80mm (2280). The drive is bus-powered and should work on PC, Mac, Apple iOS and Android devices. 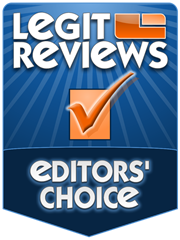 The part number is MDNVME-M2X-USB and it is backed by a 1-year limited warranty. Inside the box you’ll find the M.2 SSD Enclosure Adapter, a 12-inch USB-C to USB Type-A cable, a 12-inch USB-C to USB-C cable, M.2 SSD thermal pad, mounting screw kit and a mini Philips screwdriver (not pictured as it is hidden by the front flap of the box). 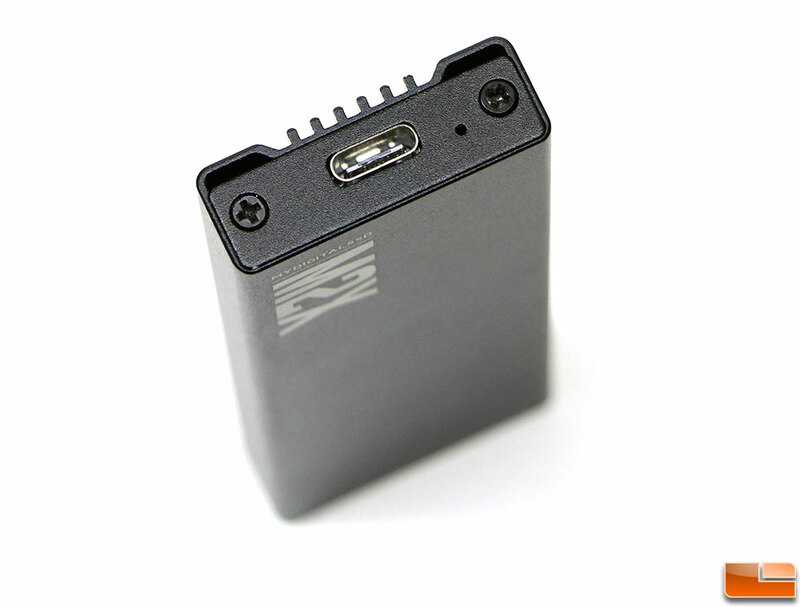 The M2X enclosure is about as simple as it gets. It’s entirely made from aluminum with a black anodized finish for a nice durable look and feel. The dimensions of the M2X are 99mm x 42mm x 13mm and it weighs just 1.7 ounces (48g) without a drive. Both ends are capped off with metal plates that are held to the main body with two screws. One end has the USB Type-C connector and a tiny hole for a white LED that shows if the drive has power. This enclosure is not sealed tight, so it is not designed for use in areas where dirt or water could get inside the housing. One side of the M2X has a row of tiny cooling fins that help dissipate heat from M.2 PCIe NVMe drives that will be used inside. MyDigitalSSD includes one thermal pad that will easily cover a M.2 2280 form factor drive. Once you remove the end cap from the M2X and slide out the circuit board you’ll find just how straight forward this product is. On one side you have the M.2 ‘M’ key slot, so there is only one way to install a Solid-State Drive. 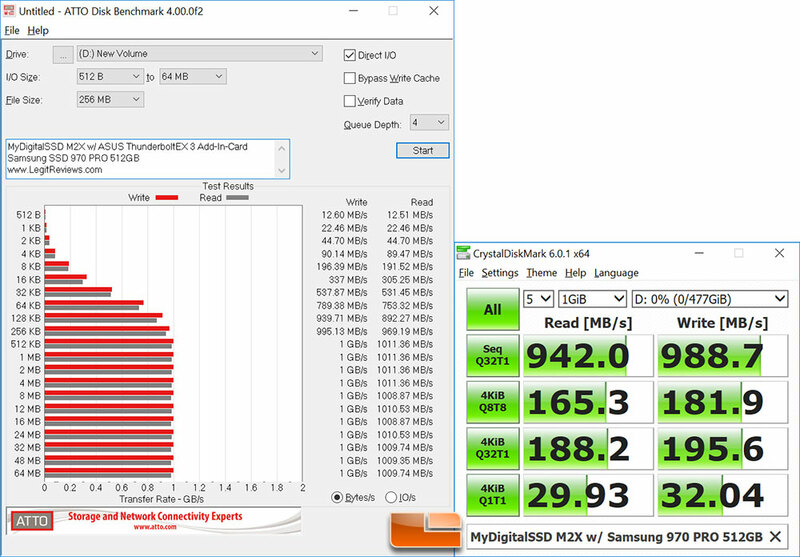 So, most M.2 PCIe drives are supported. We also need to confirm that both single-sided and double-sided drives with in this enclosure! Flipping the drive over you’ll discover the JMicron JMS583 USB 3.1 Gen 2 to PCIe Gen3x2 Bridge controller. 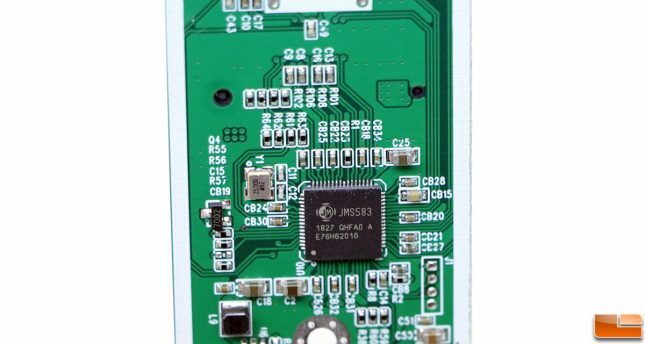 This bridge chip was just introduced at Computex in June 2018 by JMicron, so MyDigitalSSD is one of the first companies to launch a product using it. This controller is capable of hitting 1000 MB/s read and write speeds, supports TRIM, UASP and is entirely USB bus powered. It also doesn’t require any drivers to be installed. Finally, NVMe over USB has arrived!!! To test the MyDigitalSSD M2X we wanted to try out a handful of M.2 PCIe NVMe drives to see how the performance was and if there would be any compatibility issues. So, we ended up testing the following five drives as they had five different controllers from four different manufactures. All testing was done on our ASUS X299 Deluxe Motherboard running an Intel Core i9-7980XE Extreme Edition Processor and Windows 10 Pro 64-bit v1803. 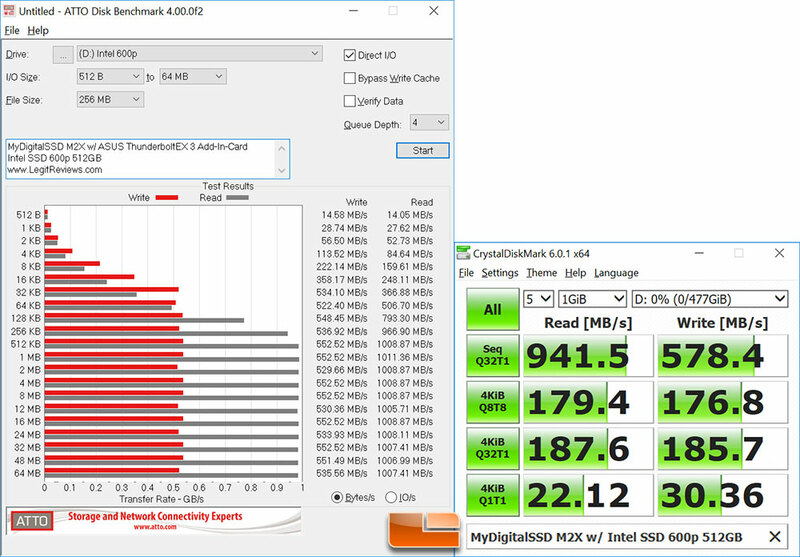 The MyDigitalSSD M2X was plugged into the ASUS ThunderboltEX 3 Add-In-Card for testing. 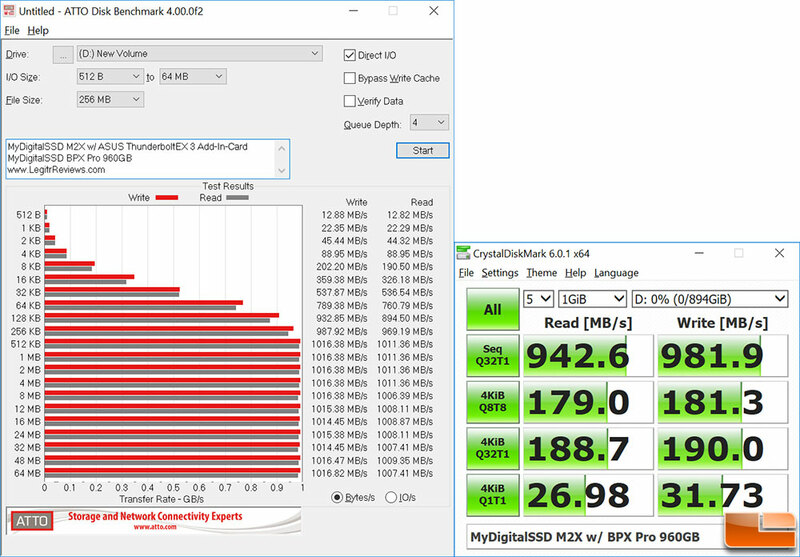 We were able to hit over 1000 MB/s for sequential read/write speeds in ATTO Disk Benchmark on three of the drives with no data on them with ease. The WD Black PCIe NVMe drive from 2017 is rated at 2050 MB/s read and 800 MB/s write and we managed to hit 868 MB/s read and 780 MB/s write. This drive was pulled from a working system to be tested, so it had 70GB of data on it as well as the four Windows 10 UEFI partitions. These are very impressive performance numbers and we were easily able to stream 4K and 8K video from this portable enclosure. What happens when you plug the MyDigitalSSD M2X into an older USB 2.0 port with an NVMe drive? Will it have enough power or even work? We gave that a shot with the Intel SSD 600p 512GB drive in the M2X and it worked perfectly on our ASUS X299 Deluxe Motherboard when plugged into the USB 2.0 port highlighted in the diagram above in red. The performance of this combination on a USB 2.0 port managed to reached 45.88 MB/s read and 41.56 MB/s write, which is wicked fast for USB 2.0. The aging USB 2.0 port can theoretically transfer data at 480 mbps or 60 MBps. The MyDigitalSSD M2X external USB 3.1 Gen 2 adapter enclosure is a welcomed addition to the accessory market. Being able to use any PCIe M.2 ‘M’ key drive in a USB powered enclosure is really convenient and nice. If you repair computers this drive will save you time by no longer having to power down systems and it gives you respectable sequential file transfers with speeds up to 1000 MB/s on both reads and writes. 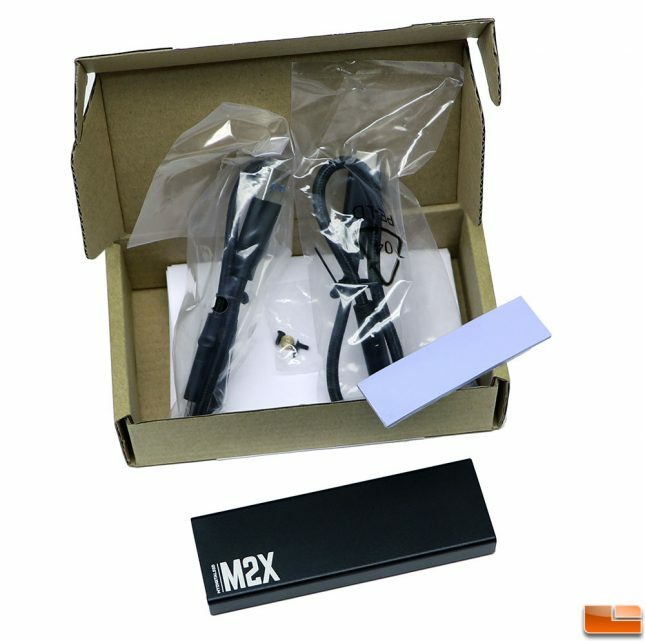 Those speeds also allow you to use the M2X to quickly and easily back up data, clone your existing drive or even install Windows to the M2X. This is a very versatile drive and only runs $39.99 shipped. You can pair it with something like the MyDigitalSSD BPX Pro 512GB drive ($129.99 shipped) and you’ll end up with silly fast portable SSD for right at $170. If you need more space you could always move up to the MyDigitalSSD BPX Pro 960GB drive for $259.99 shipped and make a 1TB (960GB) portable drive with over 1000 MB/s read and write speeds for under $300. Better yet, you could always pull your ‘old’ drive out of your system when you upgrade to a larger capacity and use the old one in the MyDigitalSSD M2X rather than tossing it in a drawer. 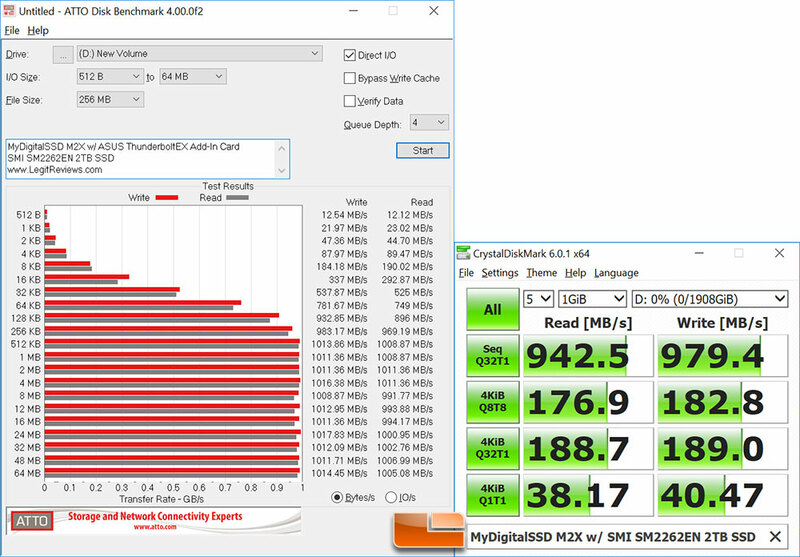 Legit Bottom Line: The MyDigitalSSD M2X enclosure is a must have for every repair shop or individual working on PCs. It also is a winner for the DIY crowd that might be looking to make their own portable SSD.